Motor Valley, Italy. The region encompassing Bologna and Modena that has birthed the likes of Ferrari, Lamborghini, Pagani, Ducati, Bugatti, and Maserati, and most recently CRP. The soon-to-be-released Energica electric sportbike . 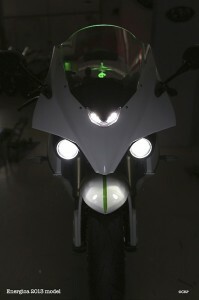 What really excites me about the Energica is that it is a real sportbike. There are some fantastic upright-sitting electric motorcycles now on the market – but it’s the crotchrocket formfactor that really gets me my jollies. Weight has yet to be specified, but the machine will host a 100kW electric motor and nearly 12kWh of battery. 😀 These are the kind of numbers I’ve been waiting for in an electric motorcycle; the CBR 600RR in my garage should be cowering in fear. The Energica’s 118 ft lb gob of torque, unscrupulously delivered by Mr. Heaviside, will definitely bring an EV Grin to many new faces. If you are able to go easy on the throttle, you should be able to get about 90 miles on a charge. From ’empty’ (0% SoC) the battery recharges in 3 hours over a level 2 AC connection, or 30min to 80% if you can find a fast DC charger. Before you say it – yes – the Energica will not [yet] be price competitive with current ICE bikes. It comes in at $22k , whereas a 600cc sportbike is about half that. Though its also worth mentioning that the Energica will integrate a laundry list of premium components from Brembo, Pirelli, Sachs, Marzocchi and others. The tour began with a look at a few former racing machines from CRP’s participation in Moto2, 125cc MotoGP, and Formula 1. After being greeted with a nice schwagbag, I was introduced to the company’s technical director, who happily led me through the machining building. 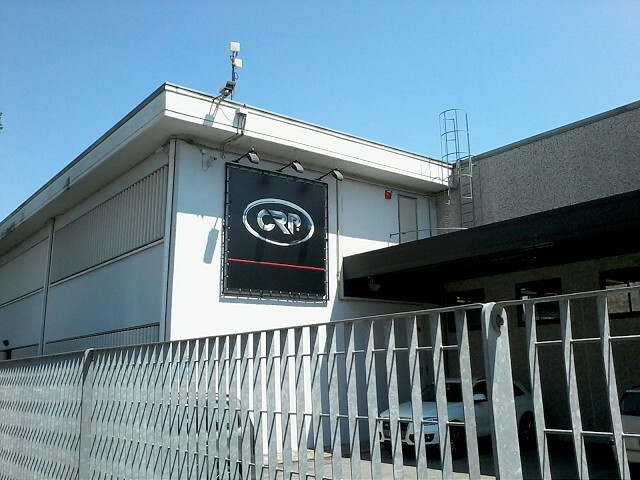 I won’t claim to to have seen any great number of machine shops, but this place was pristine. Primarily producing F1 and other race components for top tier clients, they understandably have one hell of a collection of cutting edge CNC machinery. 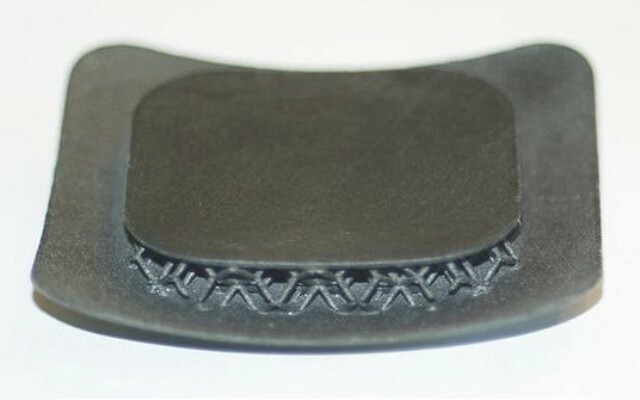 3D printable compliance! 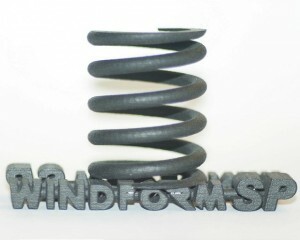 Imagine the unconventional spring shapes that can be created – with spring, damping and other parameters governed by internal fill structures. Really too cool. 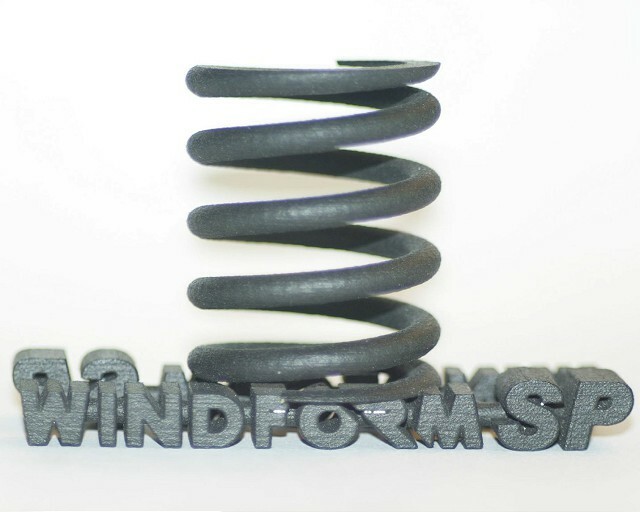 Windform is also printed by CRP USA in North Carolina mostly for NASA and NASCAR. In the electric motorcycle R&D facility I was shown the 3 eCRP motorcycles which were raced in the TTXGP series; taking a the 1st in 2010. The CRP’s electric racing program is now suspended as they are devoting efforts to the production machine. Clever of them to start with a racing program for R&D and brand building before moving to a production machine. A few other iconic Italian brands followed similar footsteps in their early days. At the time of my visit there were no completed Energica bikes present (off for ABS testing) , and the team was busy calibrating the powertrain on a dynamometer/usage simulation rig. Though I did get to see some nice looking prototypes of the trellis frame, 3D printed fairings, and a few other miscellaneous bits. 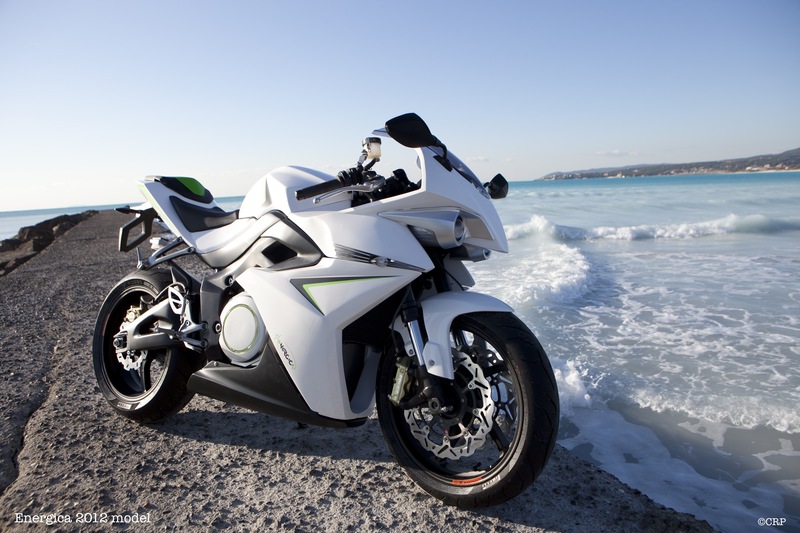 The Energica arm of CRP recently came under fire as they pushed their 2014 expected delivery date to 2015. The CTO and PR people I spoke with stressed that , despite being a new OEM, they fully intend to deliver a product that meets with Modena standards of quality and perfection. All previously reserved motorcycles are receiving an ABS upgrade at no additional cost; the 2014->2015 delay is mainly to adequately test and validate the ABS system. In Europe ABS will be required in all motorcycles sold as of 2016. 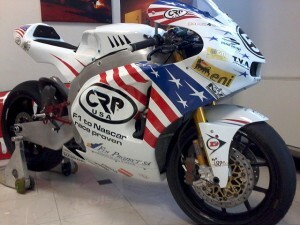 Prior to my visit I knew little about CRP beyond their TTXGP race entries and street machine prototypes. My visit to the headquarters revealed a fully fledged and multi-faceted engineering operation, with deep ties in performance vehicle industry. From what I saw, CRP really is a company with the chops to bring a fresh performance motorcycle to market. Personally, I wish them best of luck. Not because they will need it, not even because it is a family business with an extremely kind and enthusiastic staff, but because what they are doing is damn exciting and I can’t wait to ride one.